Authorized dealer of Bullfrog spa and hot tubs. Nature's Hot Tub Treatment is based on Clear Choice products and has been providing a 100% all natural hot tub enzyme-based water purification system that replaces the need for using any chemicals in your hot tub or spa. Nature's Hot Tub Treatment has supplied hundreds of thousands of hot tub owners throughout the world with one of the easiest, most efficient and cost effective methods of keeping your hot tub clean and safe.Clear Choice contains a full array of non-bacterial enzymes found in a healthy body of water. Clear Choice water treatment breaks down organic waste to a smaller size which allows for faster natural oxidation. Clear Choice also contains a special nutrient (food) that sustains the healthy enzymes we need but will not feed any type of infectious bacteria that we do not want.This, combined with filtration, aeration and circulation in your spa mimics the rhythms of a natural body of water and ensures that the natural system stays alive and healthy between bathers and swimmers. Our goal at All Seasons Pools and Spas is to provide you with superior customer service and competitively priced products. Our 5 retail locations and full service and repair department can fulfill all of your needs as a current or prospective swimming pool or hot tub owner. All Seasons takes pride in offering high-quality products. We go to great lengths to ensure we carry only the best and most reliable products on the market today. In addition, we are focused on bringing you the newest developments within the pool and spa industry. Our wide selection of popular name brands makes it easy to find your favorite products, and if you need help, one of our trained sales associates will gladly assist you. Thank you for visiting our website. Sacramento's leading retail supplier of Spas, Hot Tubs, Gazebos, Saunas, with a large showroom, and many models on display. We have accumulated over 5000 installations of various premium brands of hot tubs and spas in and around Sacramento. 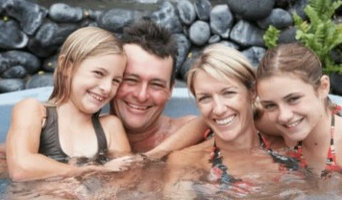 Capital City Hot Tubs has served residential customers since 1985. It’s important that you do some research before visiting a local Pilot Hill spa and hot tub dealer. While they can give you lots of information about features and financing, you should have an idea of where you would like to position your spa and what its main function will be. Do you plan to use it mostly for relaxation or socialization? How many people will be using it? All of these things will help the hot tub dealer pick the best models for you. Decide who will be responsible for daily maintenance in your household and if the extra energy costs are something you’re actually willing to incur. Also, know that most hot tub stores in Pilot Hill, CA let you do test soaks, also known as a “wet test”, where you can throw on your suit and take each model for a spin in the showroom so you know exactly how they feel before purchasing. Don’t be shy — just think of it as test driving a car! Find spa and hot tub dealers in Pilot Hill, CA on Houzz. Narrow your search in the Professionals section of the website to hot tub and spa dealers in Pilot Hill, CA. You may also look through photos to find hot tub designs you like, and ask about the details of the spa, including the manufacturer and where it was was purchased.